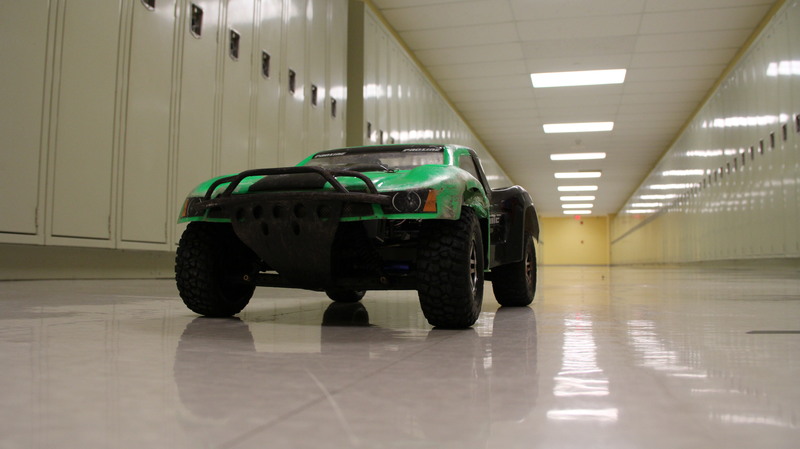 My project is a robotic 1/10th scale car that follows specific colors and items. For this project, I purchased a superman cape with hopes of making this into a cool interactive project that can be put out in a public space and people can try running away from the robot. However due to technical difficulties and many issues, i’ve only been able to get my project working to a certain degree. 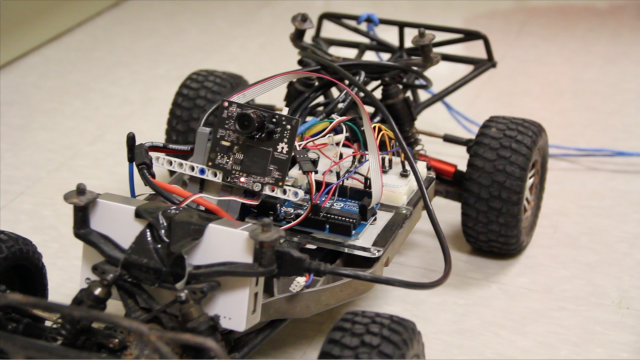 My project consists of three main parts- an Arduino to control everything, an RC car base and electronics (motor, servo, etc) and a Pixy camera (specialized camera developed by CMULabs and built for Arduino, available at ). 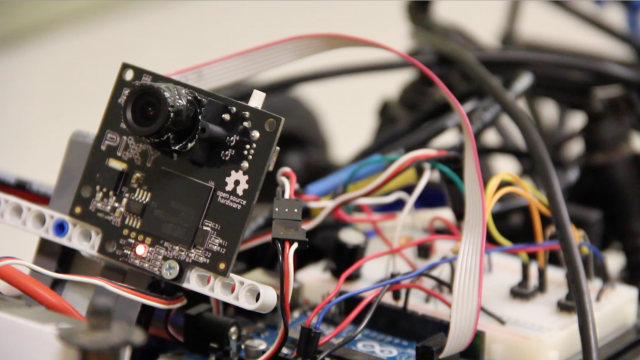 The pixy cam follows the red cape, and the Arduino measures the distance based on the size of the cape. 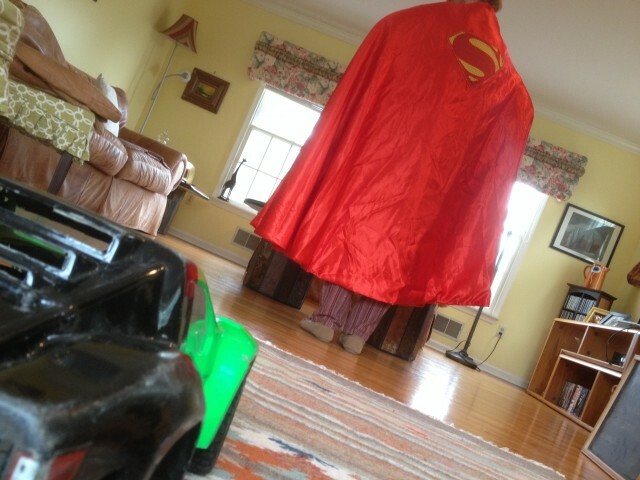 This is slightly problematic as the person wearing the cape runs faster and the cape flaps around, changing sizes. Below is the Fritzing Diagram for the breadboard controlling my robot. 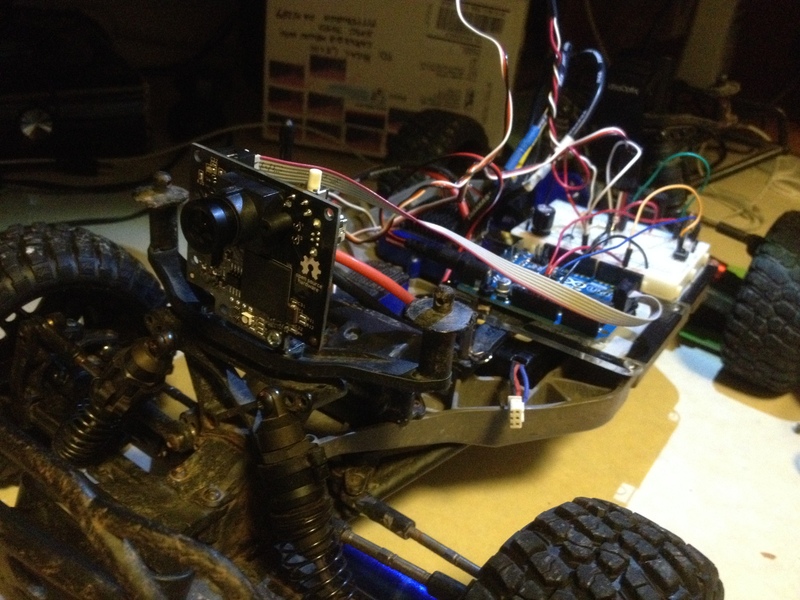 Signals are being sent from the arduino to the servo for steering and the ESC on my car for the motor speeds. 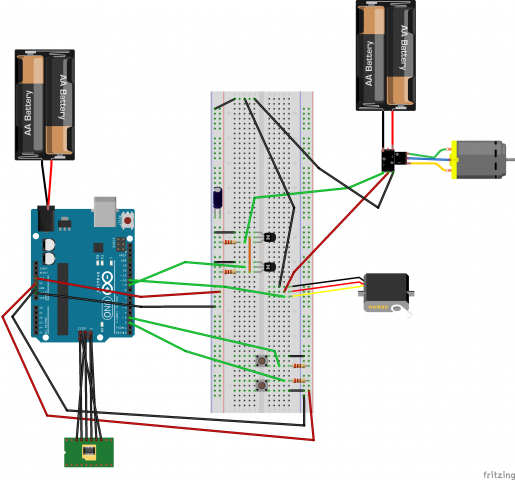 The servo is powered by the ESC rather than the Arduino because the ESC outputs more voltage. 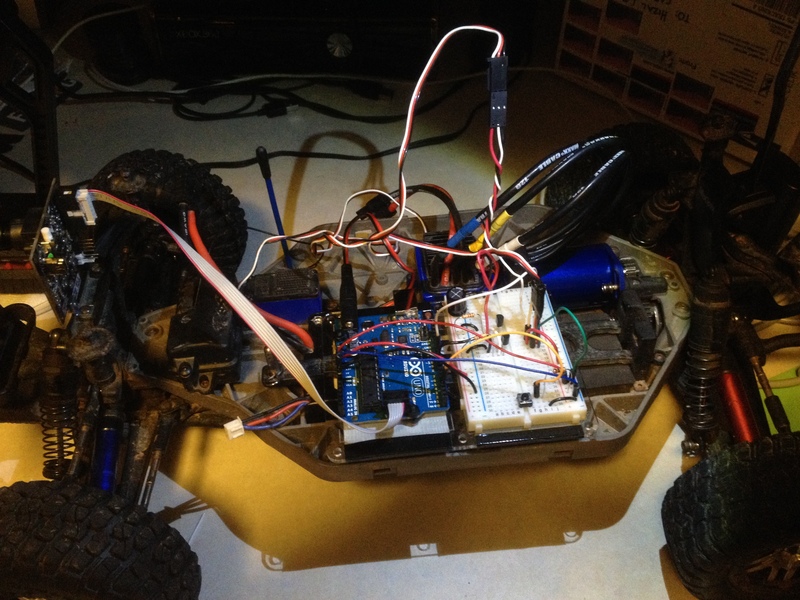 The arduino recieves power from a standard power source, but the ESC on the robot is powered by a two cell LiPo battery. The two buttons control the base-size of the cape (resets distance) and the power (pressing the power starts the robot, and press again to pause it, stopping all servo and motor use).